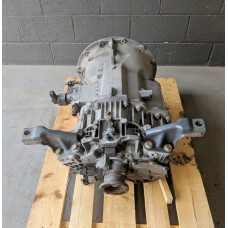 6 Speed Manual Gearbox Iveco Euro Cargo 100 E18 TectorSalvaged from a 2003 100 E180 Iveco TectorUnit..
Mercedes Atego 815 Manual Gearbox Type G60-6 (6 Speed)Part No. 093395Year: 2002..
Scania 144 GRS 900 16 Speed Manual GearboxSerial no. 6980605..